If you are searching for a vehicle that looks, feels, and acts like a sports car but won’t cost you an arm and a leg, prepare to meet that ride you’ve been dreaming of. The 2017 Toyota 86 has been designed and engineered specifically for people who love to drive; it offers unbeatable value for money, and is guaranteed to be turning heads everywhere you go. 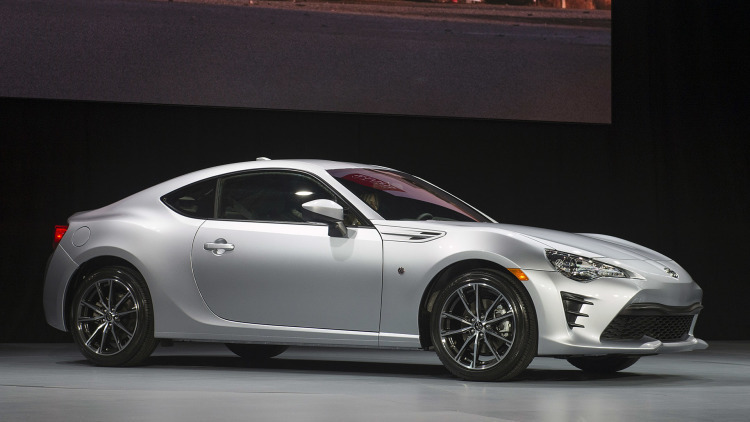 Here we will look at what makes the new 86 so very special. This savvy Toyota features a remarkably low centre of gravity – in large part thanks to its flat and compact boxer engine – and the benefits of this brilliant design include enhanced vehicle stability and ultra-responsive handling. The body of the vehicle itself is also made from strong yet light materials, making this one of the most agile rides on the road as well as one that will tread lightly on the planet; after all, less weight means less fuel is required. Any high performance vehicle needs a silky smooth transmission and the Toyota 86 certainly doesn’t disappoint. Not only is it available in your choice of a 6-speed manual or 6-speed automatic transmission, each of which provides precision shifting and race-car like performance, but the 6-speed automatic even comes with steering wheel mounted paddle shifters. Are you ready for REAL power? If you haven’t experienced a 2.0L 4-cylinder boxer engine before, brace yourself, because the 2017 Toyota 86 provides responsive power unlike any car you have ever driven. When paired with an automatic transmission it cranks out 200 horsepower and 151 lb/ft. of torque, while the manual transmission goes even further by offering 205 horsepower and 158 lb/ft. of torque. Best of all, this remarkable engine features Toyota’s revolutionary D-4S injection system, designed to maximise power and minimise fuel consumption. The 86 is very much a driver-focused vehicle, with everything from the frameless front, rear and side mirrors to the touchscreen audio display and large centre-mounted tachometer designed to put you in full command at all times. Bluetooth functionality is fully enabled; USB inputs come standard, and even the seating is designed to give you options, as you can choose between seating 4 passengers or sticking with 2 and enjoying a little extra cargo space. You and your passengers will be in safe hands in the 2017 Toyota 86, as not only do you get whiplash-lessening seats and airbags right throughout the vehicle, but Toyota’s Star Safety System and its 6 advanced safety features are also included. The Vehicle Stability Control capabilities provide yet another major highlight, in particular its 5 dedicated driving modes that let you adjust your ride’s performance to suit the conditions or terrain. Expect to be drawing attention everywhere you go in your new 86, because this is one great looking ride. Everything from its sleek lines and aerodynamic sculpting to its 17” aluminum alloy wheels and high performance tires ooze class, style and sophistication. Best of all, you have seven stunning colours to choose from, including Steel, Halo and Ablaze. 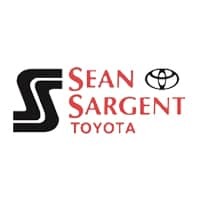 Here at Sean Sargent Toyota you will find one of Canada’s finest selections of new and used vehicles, so whether you are in the market for a sports car, a sedan or an SUV, you’ve come to the right place. Drop by and see us today here at 10625 117 Ave Grande Prairie.